How in the heck do I price my art dolls? This question has come to the forefront as our cloth doll club (the Cloth-a-Dollics) is planning to have a show and sale of our art dolls in a local gallery, the Coast Collective, in Victoria, BC. Since I am the show coordinator, I have been asked to present a session on pricing art dolls at the next club meeting in mid-July. After doing a bit of research I have come up with some thoughts and guidelines. 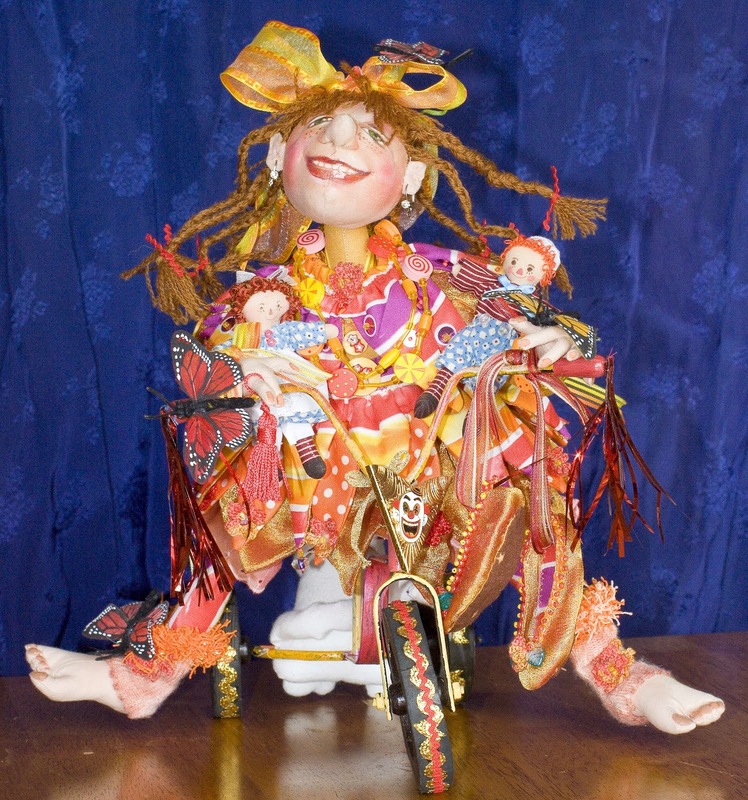 I have based my guidelines on four sources: Mimi Winer (cloth doll artist), Amanda Day (polymer clay doll artist), Kerry Howard-Schmidt (felt doll artist), and my own experiences. 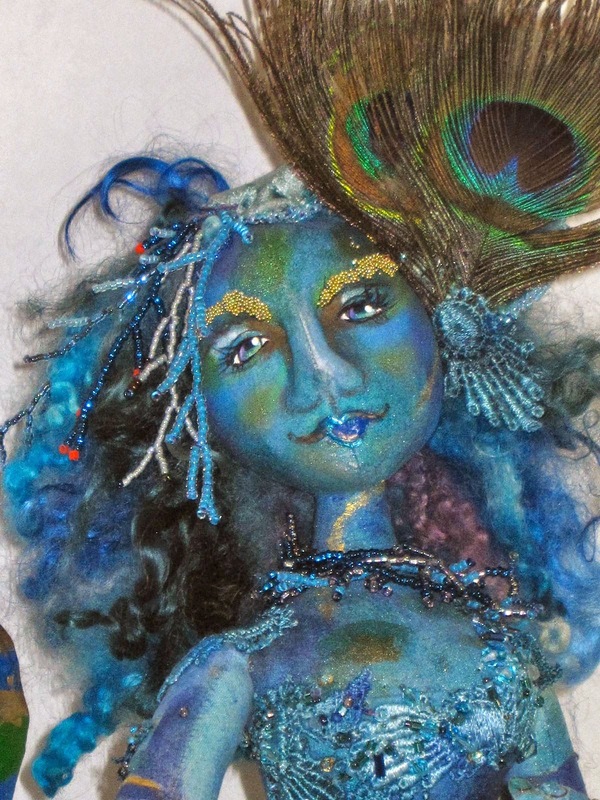 First and foremost: pricing art dolls is not an easy task! However, if we choose to sell our dolls it is critical to our success to take time, thought and energy into pricing effectively. 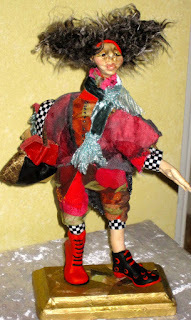 The time it has taken to create the art doll is only a minor consideration in setting the price! Unless you are a renowned doll artist whose work is sought after, then do not expect to be paid for your time, especially when you have yet to have a following. OK, then how should I price my art dolls? Well, for myself, I love making dolls and I am happy to sell them at a fair price, not so high that no one in the area can afford to buy them and not so low that I might as well give them away. If I really love a piece (usually, the one I just finished), then I will set a slightly higher price and realize that if it does not sell, I will be happy to keep it in my collection for a while. There is no set formula but I have discovered that there are some useful guidelines that I hope will help in this tricky "pricing" business. Some venues command higher prices. Selling your work in a gallery will generally allow higher prices than selling in a small, local craft fair. Customers that visit galleries and high-end craft fairs will expect to pay more for art pieces than customers coming to small local craft fairs. Are you the only doll artist selling in the venue? If you are, then there is less instant competition for your art doll. If you are selling in a venue with other doll artists, then you must be more aware of pricing your dolls fairly while respecting the work of your peers. How unique is your creation? Generally, the more unique, the better the chance that a piece will command a slightly higher price. 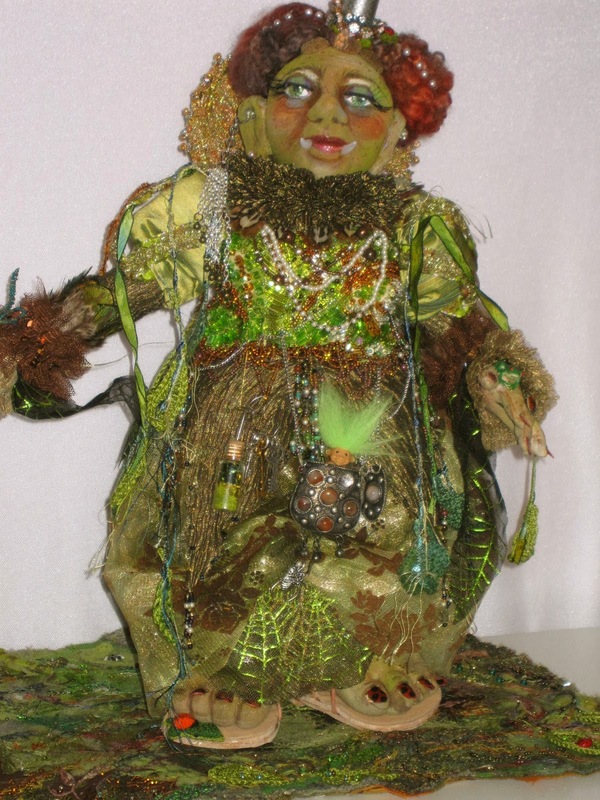 Ask yourself whether your doll is a "one of a kind"; or a unique doll made from a compilation of doll parts and not available as a pattern; or a special doll made in a live workshop with the designing doll artist; or it is from a pattern that is easily accessible to everyone? Am I completely happy with my doll? Is my piece an excellent example of my work or just OK? Is my doll well put together with colours that are pleasing to the eye? Do I believe that the theme of my doll is one that is popular in the market? 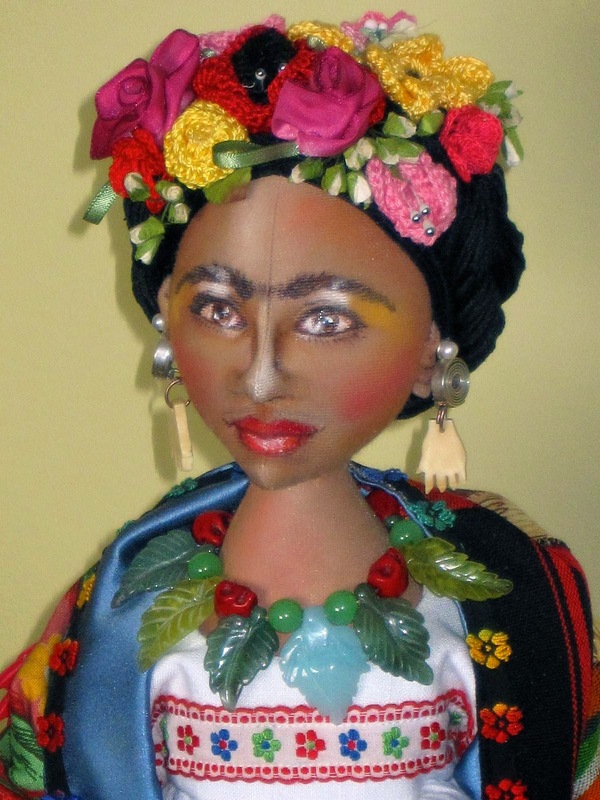 How would I rate the quality of my doll against a similar doll made by one of my peers in my area? 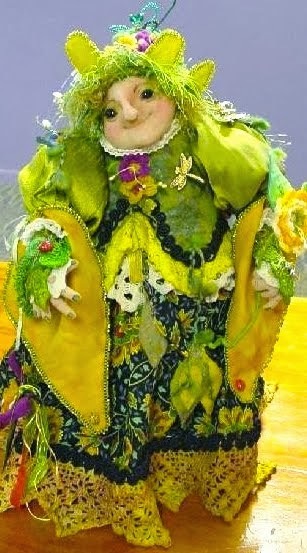 Would I jump at the chance to buy this doll if I saw it at this show? Once you have taken all of the above into account then Mimi Winer does present a possible pricing formula: set the price at 3 times the cost of the materials used plus whatever you want to get for your time, or 5 times the cost of the materials used without accounting for your time. Now with all the above information in my mind, I set a price for my "lowest priced" doll and set a price for my "highest priced" doll. Ultimately, you can set whatever price you like, after all your doll is worth whatever someone is willing to pay for it. But do not be disappointed if your doll does not sell and be respectful of your peers by not setting the price too low! 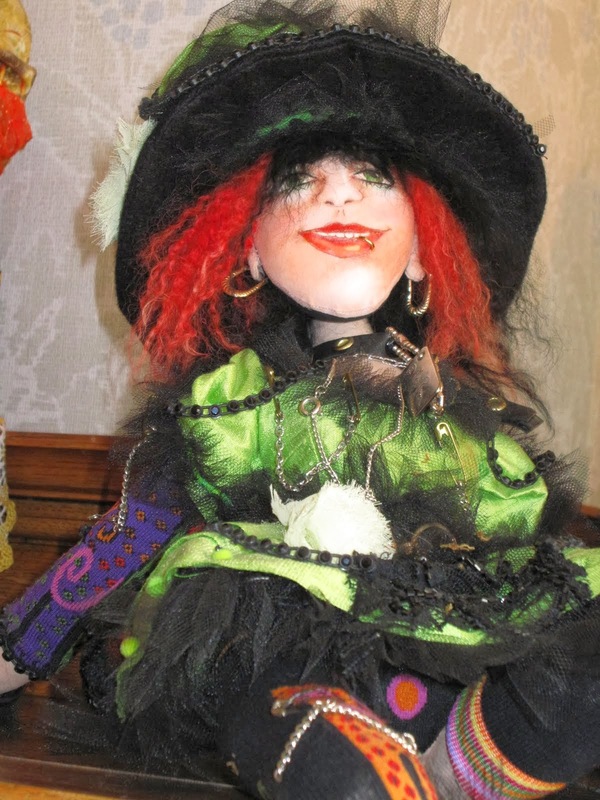 In some shows, I have easily sold dolls that were not my favourite (although well made). 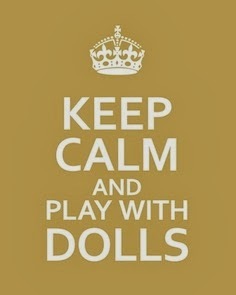 I have also been surprised that some of my favourite dolls did not sell as easily as I expected. 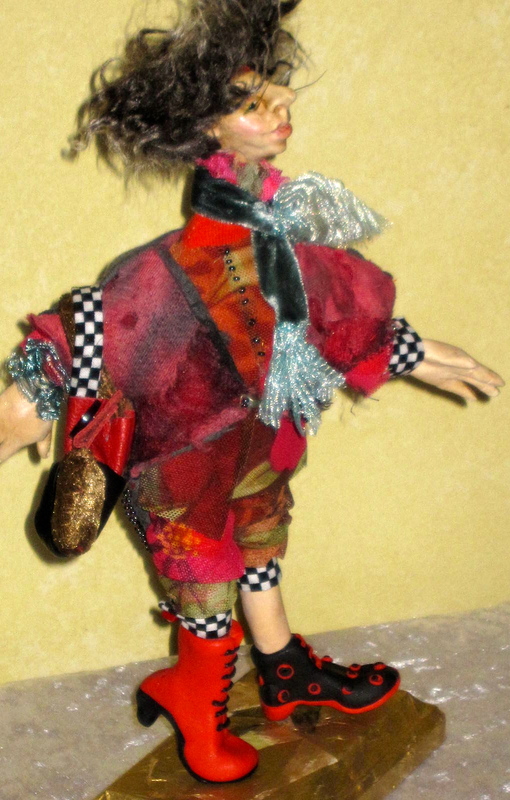 Nonetheless, since I love the entire process of creating my art dolls, I am happy to try to sell them. I am thrilled to think that my dolls may land in someone's home and are being enjoyed by someone else. I am also delighted to see people's reactions to my work. I know that no matter how well priced my dolls may be, I may not always sell them easily depending on many factors including timing and the economy. Also, like all art, doll appreciation is subjective. If you love your art doll and if you have taken the time to price it according to the venue, uniqueness, and quality of the piece, then that is the best you can hope for and the rest is in the hands of your potential customers! What is steampunk? It has been all the rage for the last few years. It is a cross between Victorian-era style with scientific-futuristic style. It is full of nuts, bolts, gears and filigree. I had fun making my steampunk crows (Frowning Francis pattern) and my steampunk troll (Ute Vasina pattern). 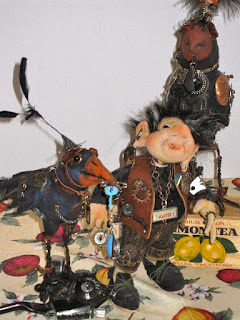 They are full of zippers, keys, filigree vintage sewing embellishments and rusty household bits (look at the outdoor tap fixture on my wee troll's head). The crows are made with cloth, stuffed, painted with gesso and then let dry. Then painted black and let dry. Finally dry brushed with bits of blue and red to simulate light on crow feathers. Now the fun part begins: embellishing with sewing parts, keys, watch parts, old jewellery and whatever else makes the crows come to life in their steampunk glory. 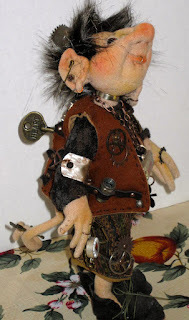 The troll is also all cloth (made with suede cloth), hand sculpted and painted with chalks. As with the crows, the troll is embellished to look like a steampunk character. This little guy has a sweater (made from an old sock), a steampunk vest, pants and hand made shoes. He is quite proud of himself beside his buddies. 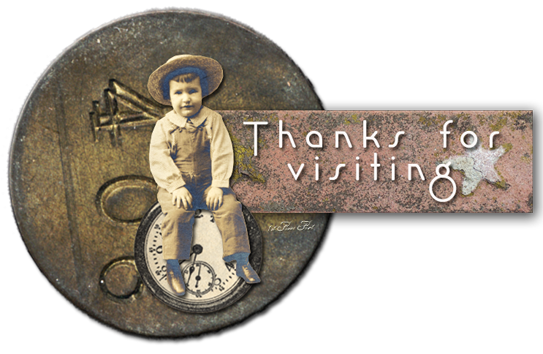 I hope you enjoy them and give steampunk a try yourself! The three amigos. The smaller crow sits on an old bicycle gear shift. The smaller crow, notice the keys for wings. The zipper is on his back. The steampunk troll, full of gears and keys. The larger ceow with sewing gauge wings. Well, less than a week back from my visit to Toronto and I am pleased to report that I have finished my first Kate Church doll. I called her " On a Mission!". Close up of her face and wild hair. The next doll that is almost finished is the bean bag style doll. My sister has already claimed this doll for herself. The face was made as a round robin face, so everyone in the class had a hand in sculpting him! He is missing his hair and trim but I still love him. Lastly, we had time to make additional heads and limbs. What fun. Now I get to think up characters for these wee fellows. Perhaps he will be a jester. The blue-eyed head looks younger, so perhaps she will be a little girl. Stay tuned later in the year.